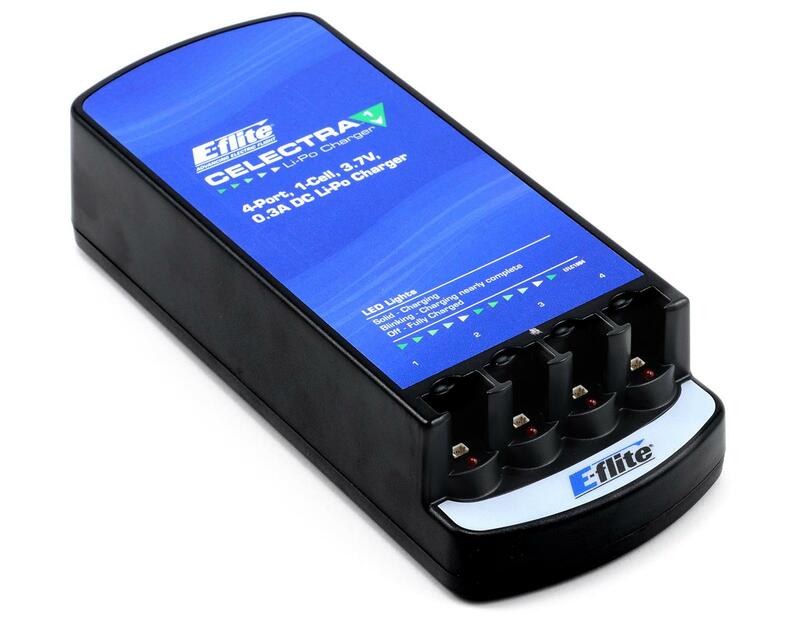 This is the E-Flite Celectra 4-Port 1-Cell 3.7V 0.3A DC Li-Po Charger. The fast and easy way to charge ultra-micro batteries. The purpose built charger for 1-cell batteries utilized by ParkZone’s Vapor, Ember, Ember 2 and Sukhoi, and E-flite’s Blade mCX, there’s no better choice than the fast and efficient Celectra 4-port charger. With ultra-micro aircraft making waves as the hottest innovation in RC, it’s also a charger certain to be in high demand among customers. 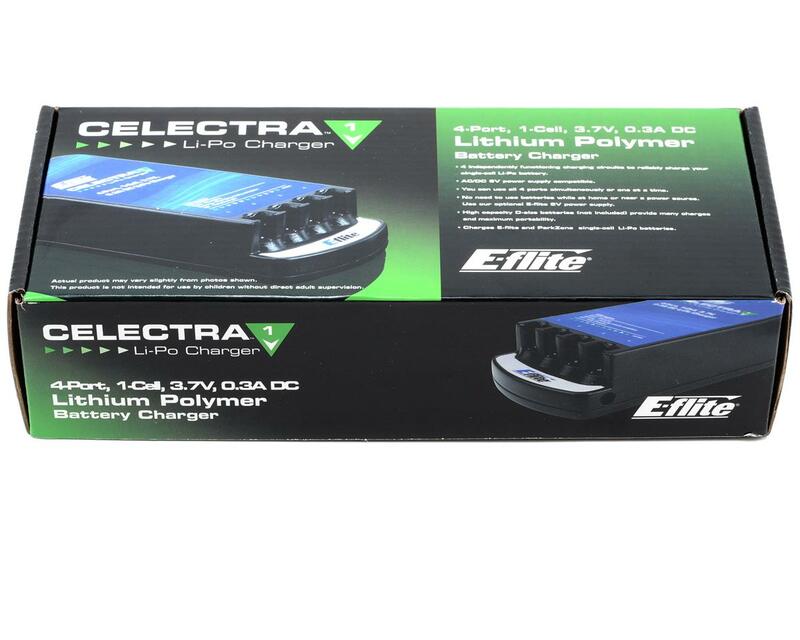 The Celectra operates off of D batteries, or at home with the convenience of E-flite’s 6V, 1.5A AC/DC Power Supply (sold separately). Charges E-flite and ParkZone single-cell Li-Po batteries. Use 4x EFLA4002 charge leads to charge up Blade mCPX batteries!